Being a businessperson these days means that you need to know how to use the Web in a profitable way. While it’s not rocket science, it requires mastering a certain number of features. A rookie entrepreneur might omit one or two if they aren’t properly advised. Therefore, I’ve prepared 4 crucial features that will keep you competitive in the online environment. It’s clever to start with online features that don’t cost an arm and a leg. Social media are used by people worldwide so you can make an international appeal in case your business aims at such an audience. Logically, you should focus only on the social channels that can help you generate new leads and promote your business. Each of them is more appropriate for some functions than others. In line with that, you can use Facebook for both visual and textual promotion. Publishing images and informative posts will attract people to find out more about your business. Also, ask the questions that will inspire your followers to share their ideas with you and the community so that you trigger discussion and increase your visibility. The new Facebook algorithm will like that. Instagram, on the other hand, can be your online shop window. That way, it’s possible to sell on Instagram, and now you can sell without an e-commerce shop. 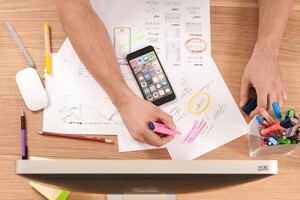 So, publish relevant photos, write eye-catching captions and get visible on Instagram. LinkedIn is the third member of this social media business triumvirate. In a nutshell, connect with as many relevant professionals from your niche as possible. Here you can recruit some employees and contractors, as well. Think about going for premium LinkedIn membership and use its benefits. The blog remains one of the most important parts of every business website. Therefore, it’s crucial for your online presence to invest some time and energy to make your blog different from other similar blogs. For starters, make sure to publish only meticulously written articles that offer some solutions to the problems in your niche. 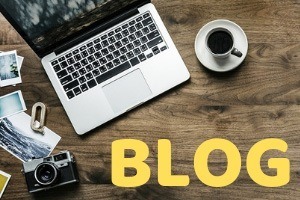 Such posts will turn occasional visitors into the loyal followers of your blog. Furthermore, allow people to leave their opinions below the posts and enable Facebook users to make comments. For instance, enabling Facebook comments on WordPress blogs is pretty straightforward and easily adjustable by every John and Jane Doe. These comments will improve the status of your website because Google likes organic discussions and interactions with readers and among them. What’s more, people will be interested in visiting your blog to take part in these discussions. Finally, you don’t have to limit yourself to publishing only articles written by influencers and experts but pay attention to the quality of the material you publish. A rule of thumb is to go only for relevant and informative content that will make a difference to your readers. If you meet all the criteria from this paragraph, you’ll make a successful blog in no time. If you possess the right visual identity, you’re more likely to generate new leads and raise interest in your business. The only question here is what we mean by the word right in terms of visual identity. First and foremost, it’s important to take care of your logo and branding. The first will have a huge effect on the latter and the latter consists of numerous interchangeable elements. Every entrepreneur should learn the basic features that make a good logo and attractive brand. You can do some reading around the Web and talk to the TuiSpace web design experts to extend your knowledge of the business visual identity and see how you can improve yours. Apart from that, every new business with online aspirations has to go for optimal visual presence. This means that you shouldn’t over-promote your venture and the services it provides. This refers to all the online platforms you’re using, from social media to your website, blog, and YouTube channel. As for the YT channel, you can boost your business through YouTube by sharing original business videos, free tutorials, and other things. Giving away such freebies will resonate well with your audience, especially if they can profit from them in any way whatsoever. What’s also important for your visual identity is to learn how to choose colors in business. From the solutions for your brand and logo to your everyday activities, colors can drive your audience in a certain direction. You have to ensure that they’re always on the same track with your enterprise. If your social media pages are your shop windows, then your website is your very own online supermarket. This is where people come to find out more about your business, your services, and your products. Moreover, this is where they decide whether or not they’re going to follow you or buy something from you. But this isn’t where your presence in their online lives ends. What you can do these days is offer them a condensed version of your website so that they can literally carry all its core features in their pockets. This condensed version is a mobile app. 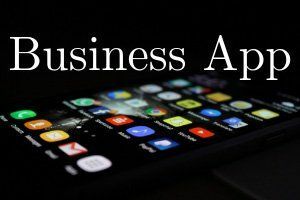 While usually e-commerce ventures opt for mobile apps, it’s not uncommon that other sorts of business websites to launch their very own app. Further, if mobile users are your prime business audience, having a mobile app is a must. If you’re adept at modern technologies, you can take the plunge and build your own app with one of the popular app builders. On the other hand, if you don’t have enough time or expertise for that, do some consultations with professional builders to find the best solution for your business needs. Online presence can bring numerous benefits to every business. If you’re new to the world of online business, it’s important to learn the basics that will help you keep your head above the water. Since the Web is brimming with competition in every niche, it’s important to follow in the footsteps that have proven to bring results. 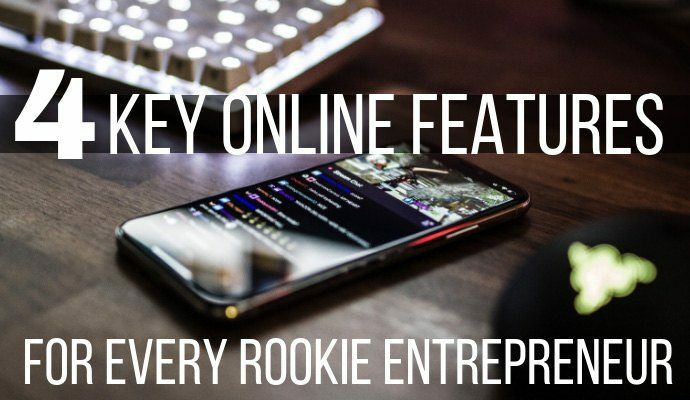 Therefore, try to apply the features described in this article to boost your online business presence and have a successful start as a rookie entrepreneur in the online environment.